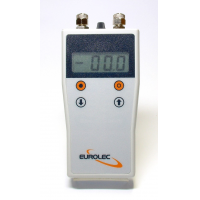 Eurolec Instrumentation is a market leading manufacturer of digital handheld thermometer with temperature probe. 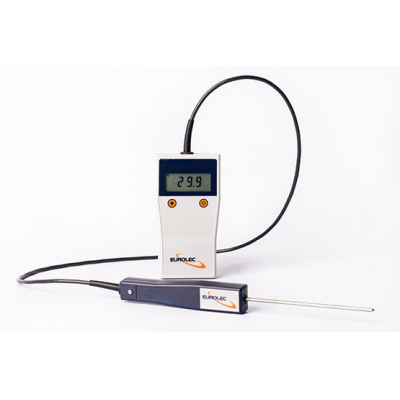 The PC Temp Series is a range of professional, lightweight, and compact probes and thermometers. The series of thermometers covers temperatures ranging from -150°C to +800°C and have splashproof surfaces. This makes them suitable for a wide variety of applications, including pharmaceutical and food manufacturing, laboratory measurements, and HACCP compliance. 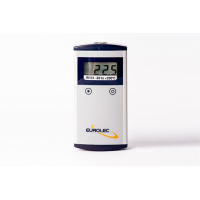 The backlit display makes the thermometers easy to use, and reduces the amount of power used. 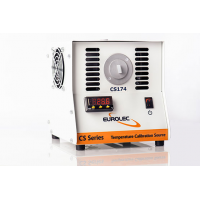 The battery for each PC Series instrument can last up to 350 hours. 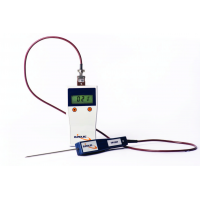 Wide range of products A variety of professional, compact, and lightweight thermometers and probes provide features useful for many different applications. Smooth, splash-proof surface It has a hygienic surface, which is ideal for food manufacturing, HACCP compliance, and pharmaceutical and laboratory environments. Backlit display A simple to use display makes it easy to use in all environments. The display does not use much battery. Wide temperature range The temperature range covers -150°C with the TP101 to 800°C with the TP106K. This makes it suitable for a wide range of applications and environments. Guaranteed quality The PC Temp T1, PT1 & PT2 thermometers/probes are supplied with a UKAS-traceable calibration certificate. This guarantees quality. Probes supplied The PC Temp PT1 is supplied with a removable probe. The PC Temp PT2 is supplied with a fixed probe. 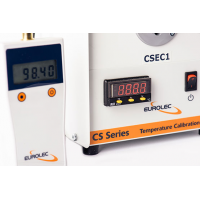 Eurolec Instruments manufactures the PC Temp K2, PC Temp T1, PC Temp PT1 and PC Temp PT2.